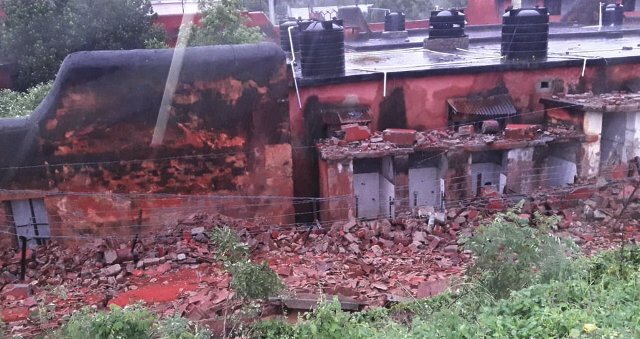 ONI Bureau: Inmates and staff posted at Jajpur sub-jail had a close shave as boundary wall of the Sub-Jail got collapsed on Friday night following incessant rain. The incident took place at around 2 PM while all the inmates were sleeping inside the nearby hall. Reportedly, the collapsed wall was constructed in over 100-year-old structure and had further weakened following a road construction, said jail authorities.